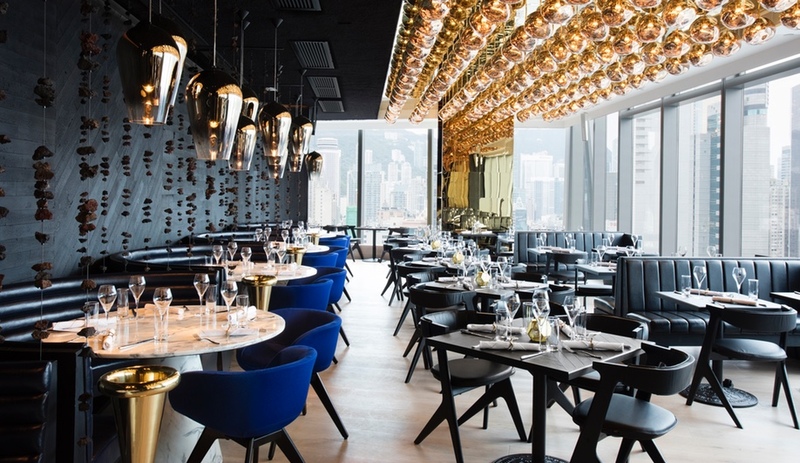 Tom Dixon’s architecture and interiors outfit, Design Research Studio, has completed the Alto restaurant, a contemporary grill in Hong Kong – its first restaurant project in Asia. 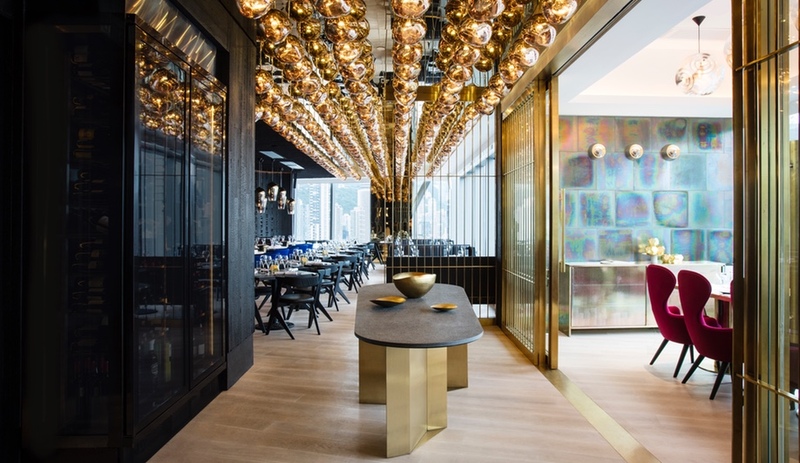 Earth, air, fire and water – the four classical elements – may have inspired the feel of this restaurant interior in Hong Kong, but its eclectic character is the result of its prolific designer: Tom Dixon. 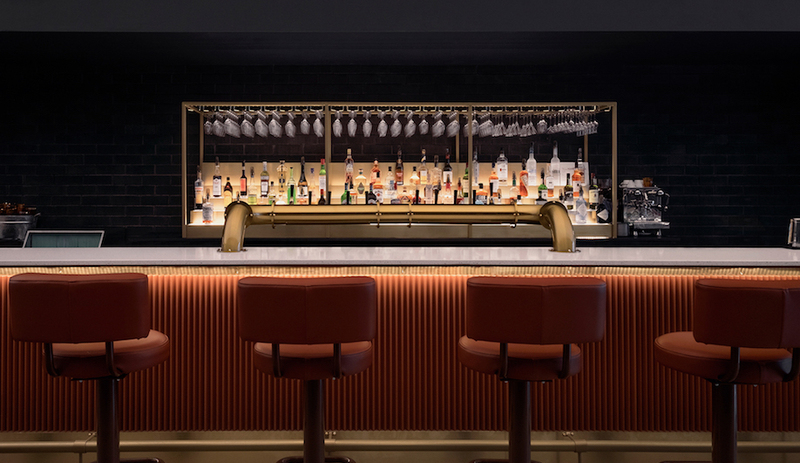 The luxurious project is replete with the Briton’s furniture and lighting designs. His architecture and interiors firm, Design Research Studio, designed the space from top to bottom. Even the walls and interior doors have metallic surfaces that recall the sheen on his best-known light fixtures. 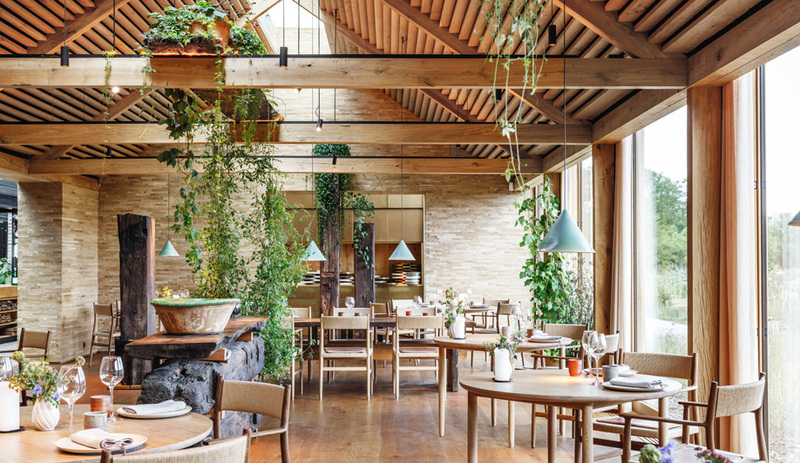 The scene is set in Alto restaurant’s central space, which features an expansive canopy of 230 gold mini Melts – the light fixtures Dixon designed in collaboration with Sweden’s Front group. Their uneven surfaces help to cast a dynamic glow and create a sense of slight distortion. In the same space, the all-black timber table tops, benches and Slab chairs are offset by a burst of blue in the upholstery of the Scoop chairs that surround the round banquettes. 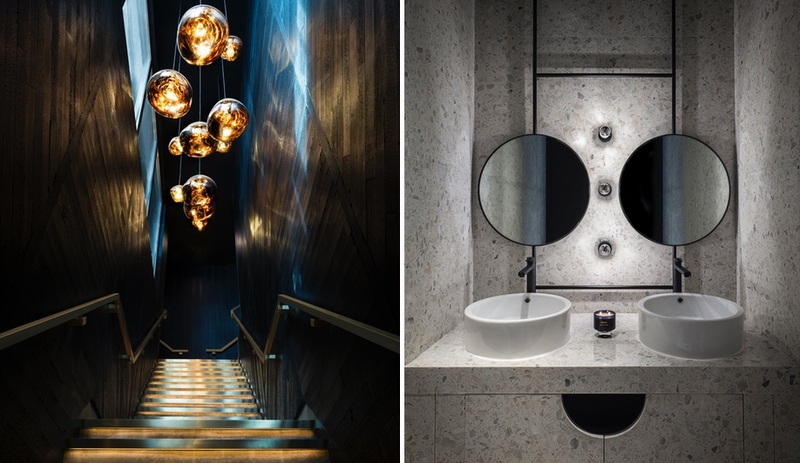 For a custom sculptural touch, rocks strung down ropes create a screen-like effect around the banquettes, which are illuminated by Fade pendants. 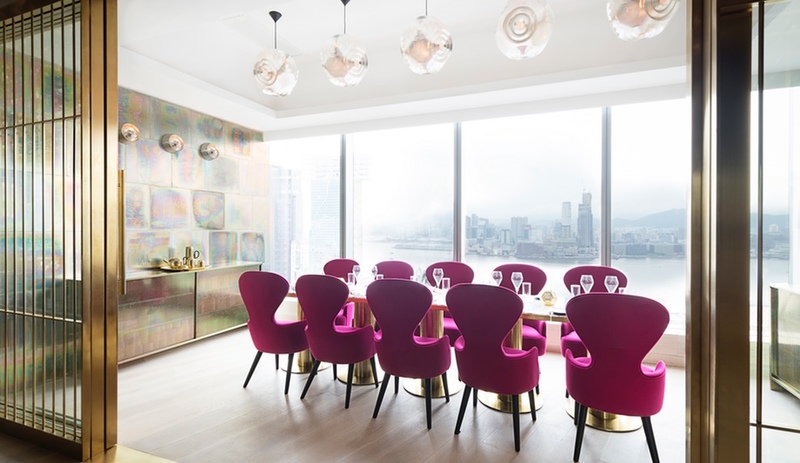 Off to the side, the generously glazed VIP room features fuchsia-clad versions of the Wingback chair and Curve pendants and sconces; the latter adorn the service wall, clad in metal tiles that bathe the room in patina hues of green and pink. 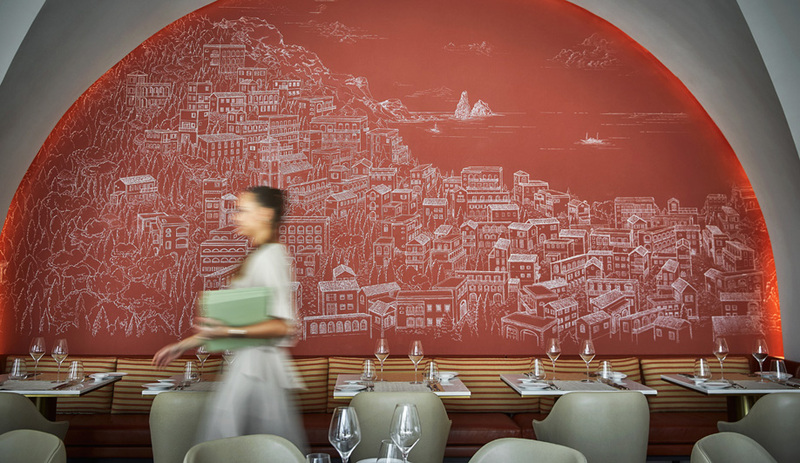 Throughout the restaurant, green marble and terrazzo stone are used to reflect the restaurant’s mountainous setting. Form tea sets and Scent candles complete the atmosphere, and speak to the fully branded experience.